The community of Palm Springs, California is home to one of the highest concentrations of Mid-Century Modern architecture in the world, making our community a famous destination for aficionados of all things modern. 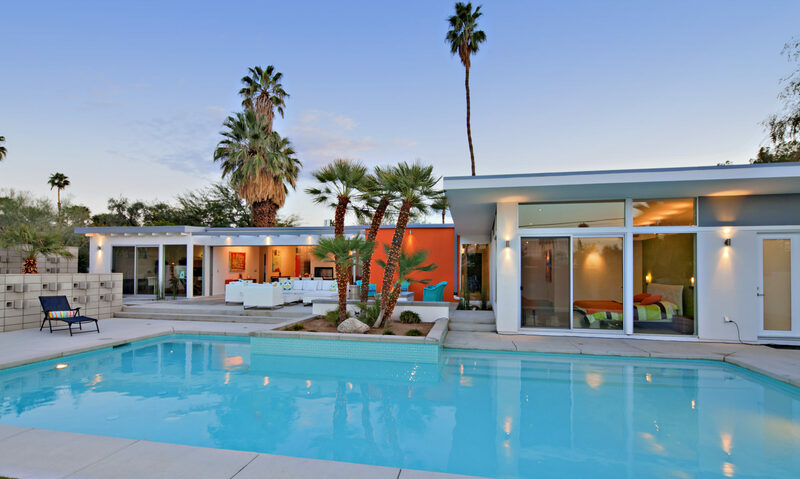 In fact, each February visitors flock from all over the world to celebrate this design style during our world-renowned Modernism Week, which offers events ranging from architecture tours to art exhibitions, swanky parties to film lectures, and much more. Let’s take a look back at the history of Mid-Century Modern architecture in Palm Springs and how we’ve earned this prestigious reputation. Starting in the 1920’s, Hollywood’s elite found that Palm Springs was the ideal location to escape the hustle and bustle of the big city, yet was close enough to get back to the studios quickly if needed – just a two-hour drive. They and other affluent elite would turn Palm Springs into a private oasis of custom homes designed to integrate seamlessly with the beautiful desert landscape and outstanding Southern California climate. Later, during the 50’s and 60’s, architects and builders would experiment with these early designs, taking the new aesthetic into mass production by using a few basic floor plans and several roofline choices. The Alexander Construction Company, for example, would use these plans to build several entire neighborhoods. The development of more than 2,200 homes in this style would effectively double the size of Palm Springs at the time. The history of Mid-Century Modern design in America begins when radically new architectural trends in Germany grew to prominence after World War I and II. The political climate at the time would push architects to the United States seeking opportunity and advancement. The design aesthetic they brought with them celebrated a simplification of form, emphasized clean, uncluttered lines, and praised technological advancements in materials like sheet glass, poured concrete and steel. As early as the 1920’s, architects such as Richard Neutra, John Lautner, Albert Frey, Donald Wexler, Walter S White, John Porter Clark and William Cody, influenced by the movement, would bring these new ideas to Palm Springs. Often commissioned by Palm Springs’ most elite residents, they would have a strong desire to find the harmony between the function of the home and its design. Homes were created with post and beam construction to minimize the use of interior support walls that decreased the cleanliness and simplicity of the design. Expansive exterior walls were made of glass, with clerestory windows above to make the indoors bright and airy. The lines were blurred between indoor and outdoor living with patio and pool spaces that took into consideration the surrounding landscape and mountain views. Other popular elements included concrete floors, decorative outdoor ground coverings, warm colors such as muted orange, chartreuse and turquoise, and the use of furniture and decorative features to enhance the modern appeal. 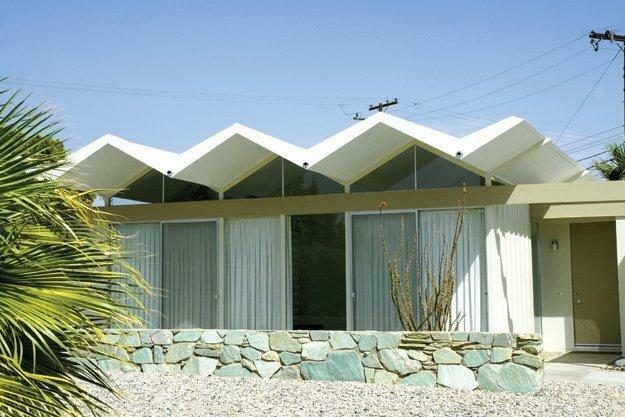 This would become Mid-Century Modern architecture as we know it – the hallmark of Palm Springs today. Today, residents and visitors will find notable buildings of every type: residential, commercial, religious, hotels, schools, civic, cultural, etc.